Welcome to our online resources for schools. Here you can find information about MSF for use in the classroom. We are the world’s leading independent medical humanitarian aid organisation working in over 65 countries around the world. We provide emergency medical aid in countries affected by war, natural disasters or outbreaks of disease. These resources have been carefully matched to Awarding Body specifications and have been informed by detailed review of Examiners' Reports. If you would like to be contacted directly by MSF UK when more school resources become available, or if you would like to make a special request for resources, please follow the link below. Or, join our Facebook group for all things schools and MSF! If you are looking for general English language material introducing MSF please consider this welcome video and its corresponding transcript. This video looks at the ways we travel to reach our patients and has a corresponding transcript. We also offer an 'Introducing MSF' presentation and a selection of printable posters and leaflets. These resources are for teachers to use during assemblies, tutor time or PSHE. The teacher may adapt depending on the time available and there are follow up activities. 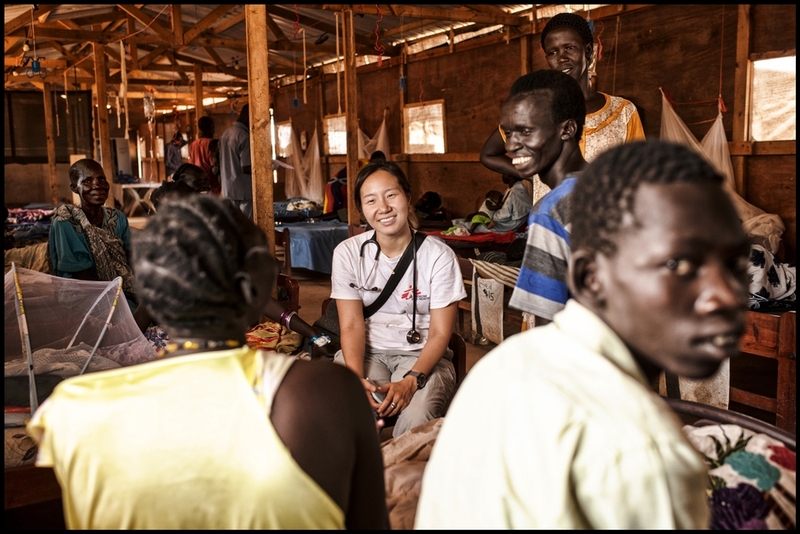 The resources draw on the work of MSF, to engage students with up to date humanitarian challenges, and have been guided by clearly established learning objectives for KS3 and GCSE English. They include games, real-life stories, images and videos to create a buzz in the classroom. Follow the link below to find out more. We currently offer four teaching and learning resources for GCSE and A Level Geography, developed in partnership with the Geographical Association and an advisory group of teachers. The resources look at the subjects of cholera, earthquakes, food security and mapping. Follow the link below to find out more. We currently offer resources for GCSE and A Level French and GCSE Spanish. We hope this mix of of real-life stories, videos and images, will engage students and encourage discussion of wider social issues. Follow the link below to find out more. Missing Maps is an exciting project where students can directly contribute to the humanitarian work of MSF. We offer two teaching and learning resources for A Level Biology, looking at cholera and tuberculosis (TB). The former is a data handling exercise introducing students to epidemiology. The latter provides an overview of TB and drug resistant TB. Follow the link below to find out more. Are you a teacher or student who uses these resources in the classroom? If so, we would love to hear your feedback, good or bad, to help us keep improving our resources, or if you would like tor request any fundraising materials for a school event please send us an e-mail with your thoughts.